Smart technology is opening new avenues for students to cheat during exams. 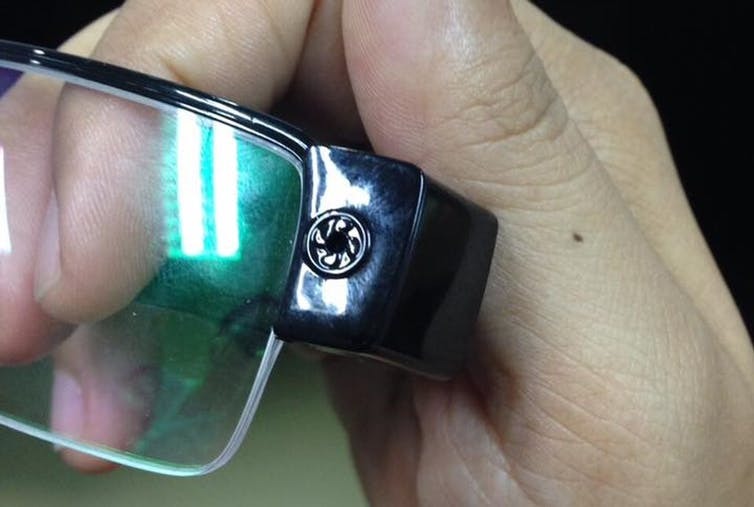 The latest such incident, fit to be the subject of a Hollywood spy thriller, has surfaced in Thailand where medical students of Rangsit University were caught red-handed while trying to use cameras embedded in their eyeglasses along with their smartwatches to film and transmit the question paper to their accomplices outside the exam venue and receive the answers thereof. This discovery led to the cancellation of the exam, and the rector, Arthit Ourairat posted pictures of the equipment used by the students to cheat on his Facebook page. 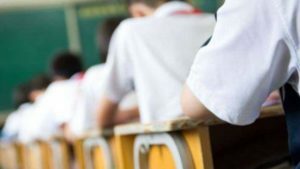 The incident is sure to generate heat in the educational sector worldwide with the likelihood of similar attempts at high-tech cheating increasing in the future as high-tech smart devices that can be used for cheating purposes like – smartwatches, invisible watches, smart glasses, etc – become more common and affordable. In fact, smartglasses like Google Glass makes cheating very easy as they are able to transmit and display information or take photos without the necessity of connecting with a smartwatch. Various devices that can be used to cheat are freely available on the Internet, even on big online companies like Amazon and eBay at cheap prices and it is anybody’s guess how this market will explode once such devices become cheaper and therefore more affordable. There is a huge variety of wireless audio transmission devices, already available, that can be used for cheating in the exams. This watch appears to be turned off to the naked eye but when used in conjunction with special glasses one is able to see uploaded content on the watch screen. Not only is this device able to store documents in various formats including Word and PDF but it also boasts of a panic button. This button is a Godsend for cheats as it can, when pressed, quickly lock all the other buttons leaving the examiner staring at the time displayed on the device. There are a plethora of devices like invisible earpieces, micro cameras, digital pens, smart calculators etc that make it very easy for students to make two-way communication with their associates. It is imminently possible that educational institutions would ban all kinds of watches for exams, including traditional ones as it is extremely difficult for the examiners to differentiate between smart and traditional watches at the exam venue. Those conducting exams will have to grapple with the unethical use of smart technology that has been till now only seen on celluloid. Universities across the globe have tried to fight the menace of ‘smart-copying,’ (using internet accessibility that smartwatches possess and their ability to not only store text and images, but easy access to such stored information along with the facility of mathematical calculations and translations) by mulling a ban on such watches and some of them have gone ahead and enforced the ban from last year. Australia has gone a bit further with such bans being enforced by school boards too for Year 12 exams. This seems to be the logical way forward for educational institutions across the globe as of now. As it is smartphones are already banned for exams and some Australian universities have even banned all kinds of watches during exams. It would be prudent for other educational institutions across the globe to follow suit in view of the difficulties in differentiating between smart and traditional watches.